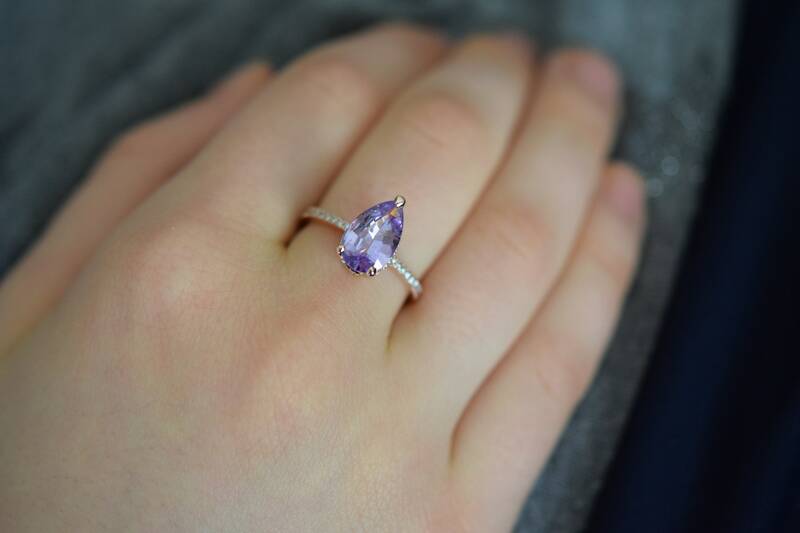 This is Blake Design by Eidelprecious, featuring a sapphire solitaire, set in a diamond double gallery mount on a thin diamond band. 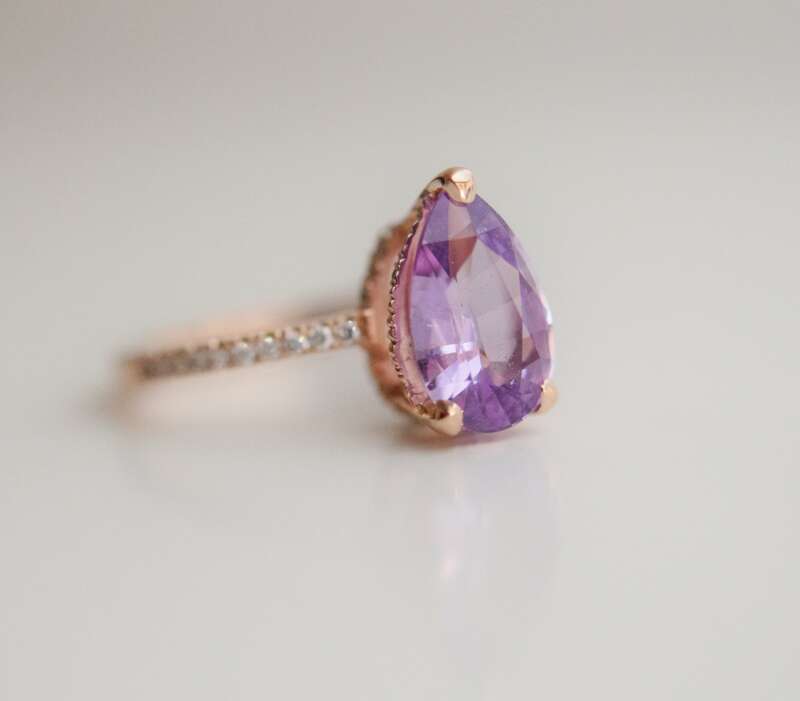 Rose gold engagement ring with Plum sapphire.This is a gorgeous ring. 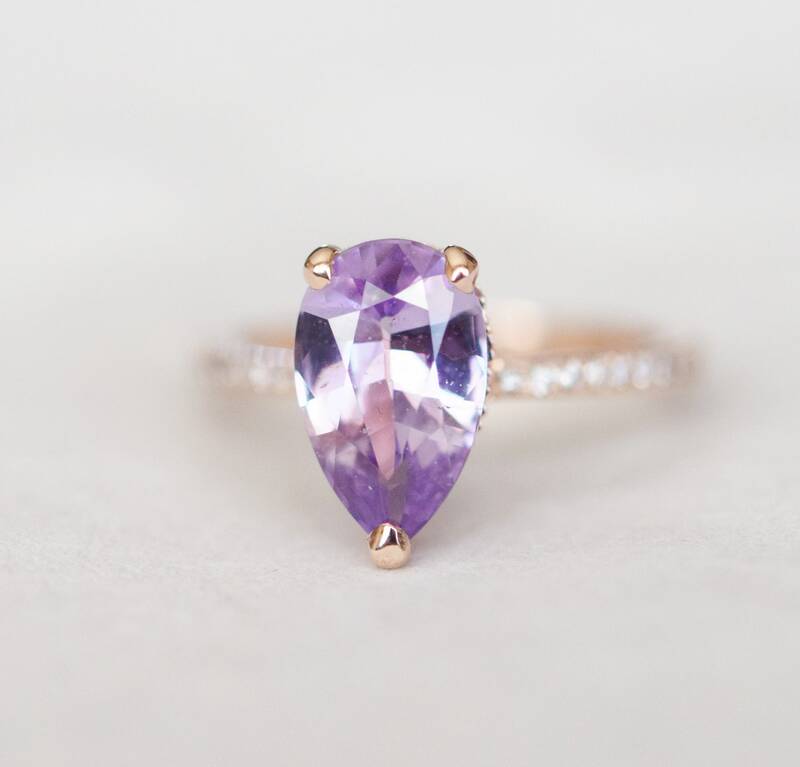 It features a beautiful purple plum natural, untreated sapphire. It is clear and sparkling. 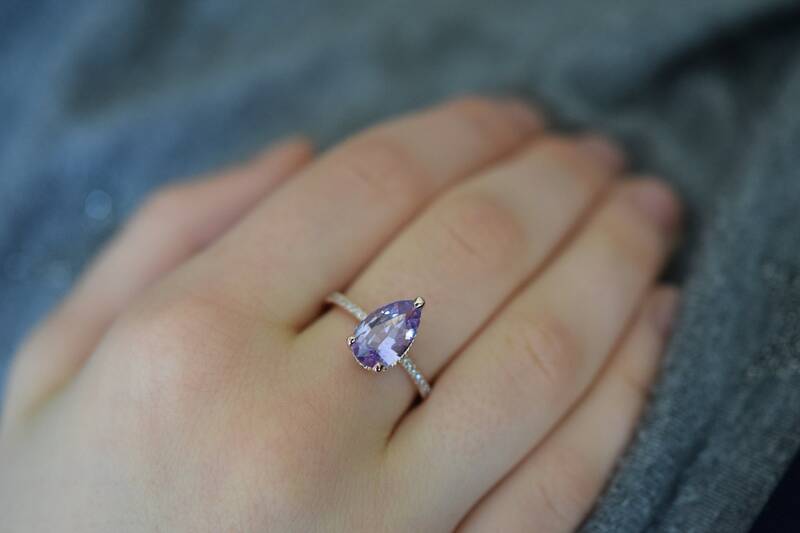 The sapphire is 2.2ct, pear shape. 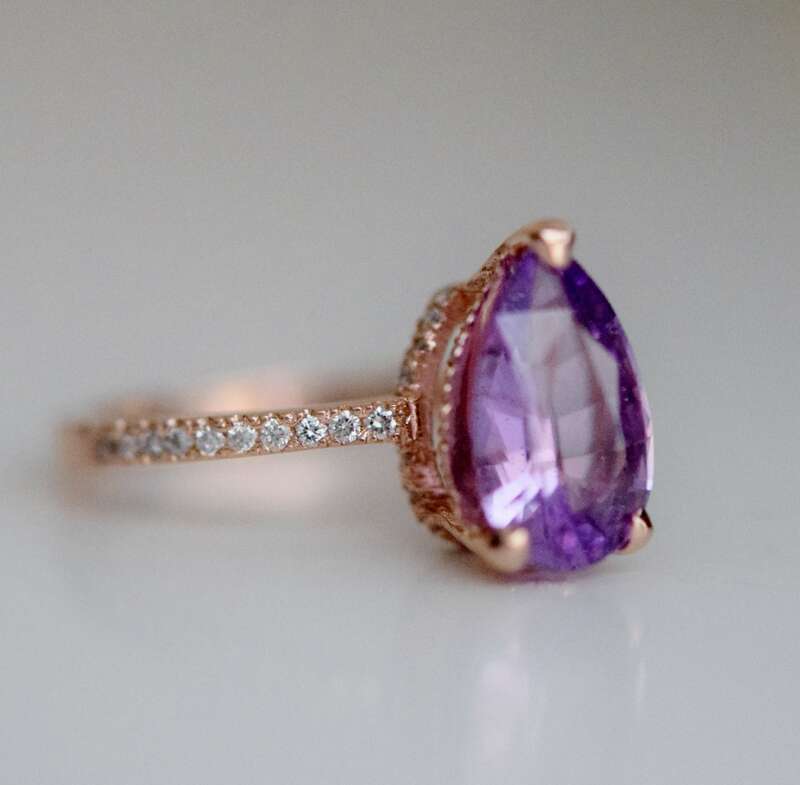 It is set in my upgraded sturdier 14k rose gold diamond setting, VS/F, TDW approx. 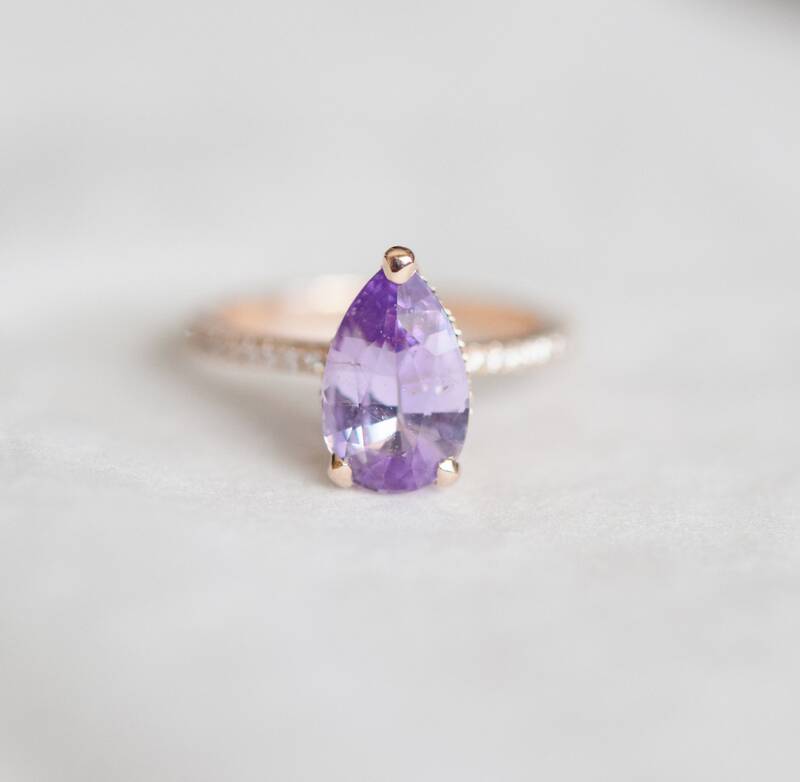 0.25ct.